Physician billing has changed drastically over the years and has been facing several challenges on all fronts. Complicated and rigid coding rules, fee structure debates, heated negotiations, and attempts to reward for outcomes are few conflicts faced by the physician billing domain. That is why, you must improve your medical facility's bottom line and keep yourself updated with the latest trends in physician billing world. The healthcare industry, in general, has been facing several issues regarding the billing process such as changing rules and regulations and increasing operational costs. So, what are some upcoming trends in physician billing should you look forward to? In this article, we have listed the key trends in medical billing to watch out for in 2019. 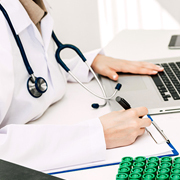 The medical billing domain of a healthcare organization is facing two impending challenges. One is to maximize their hospital's revenue, the other is to recover/receive full payment from their patients. These two issues have plagued them for a long time. And now they are taking the resorts of technology. ICD-10 set of codes was introduced in October of 2015. And since then, many healthcare organizations have transitioned to a new standard which is ICD-11, and many left behind in the race, are soon complying. The new set of codes provides extensive structural changes as compared to the previous version. This year we will see most of the healthcare providers will start using the new set of codes. Today, the healthcare sector assimilates the expertise of technology and people. Technology wise, there has been a significant adaptation of hardware and software tools to ease out the huge stockpile of data. The medical billing sector is leveraging the IoT, big data and other 21st-century technology moguls. The most important, however, is the implementation of a nationalized patient database. Soon, the EHR (electronic health record) software will be (made) mandatory. This will help the physicians provide better patient care through advanced communication channels, which will be patient-centric. Cognitive computing simulates human thought processes in the form of a computerized model. Using deep learning algorithms, natural language processing, and pattern recognition, the computer can simulate the way a human brain function. In the coming years, we will be hearing more about the usage of cognitive computing, artificial intelligence, machine learning, etc. in the healthcare industry. Read our article to know how Machine Learning and Big Data will change healthcare forever. We have been hearing the term Blockchain for quite some time now and is slowly gaining popularity in the healthcare industry too. Blockchain technology will allow medical businesses to digitize the workflow through replicated and shared ledgers. Blockchain will help to organize the data so that the transactions are verified with the consensus of all the involved parties. We have been hearing the term 'Blockchain' for quite some time now. It is gaining popularity in the healthcare industry too, and many are considering it as a perfect answer to the interoperability. It will allow medical businesses to digitize their workflow through replicated and shared ledgers. It will also help organize the data so that the transactions will get verified in consensus with all the involved parties. CPT codes are designed to replace the names of the medical procedures conducted by doctors. The CPT code implementation has been a slow process ever since they were introduced. However, we will see a complete implementation of this new standard which will avoid any risk of incorrect coding and the delay in backup for doctors and patients. Customers are increasingly growing conscious about their healthcare spending. They are realizing the importance of managing their expenditure when it comes to receive best healthcare service. Companies will start linking the various healthcare payments with enhanced customer satisfaction. The payments will be combined with other payment benefits. Outsource2india has been a pioneer in providing physician billing services in India and a series of other healthcare services to its global clientele. Having been in the healthcare industry for almost two decades now, we have the required experience to handle any of the client's requests. Our team comprises some of the most talented and skilled healthcare billing experts who are well-versed in the latest advancements in the industry. We leverage the best tools and technologies while providing our services and all our services are ISO certified and compliant with HIPAA standards. If you are looking for a cost-effective, accurate, and efficient physician billing service provider, then look no further. Get in touch with us today!